One might face situations wherein s/he needs to write a letter for someone else: for a voluntary community activity, for employment, or for a character reference for a colleague or a family member. Sometimes we don’t know where to start, and following typical technical writing formats makes one cranky and gives one a sweet dose of stress. Well, you’re not alone. The only thing you need to do is keep cool. Have these Sample Letters guide you with all the intricate details when crafting a reference letter for someone. With these samples as a faithful companion, you will surely get help the right way. Make it a point to know the addressee as this will give a huge boost to your letter. Be authoritative. 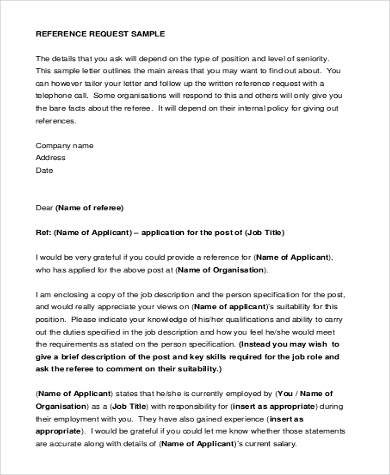 You may use letterheads when writing if you happen to be the manager of a company. 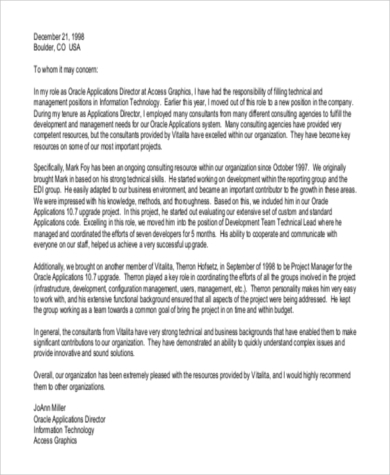 You may praise your former employee with the achievements contributed to the company’s progress. Check these Sample Character References for your convenience and for ideas on professionally formatted templates. 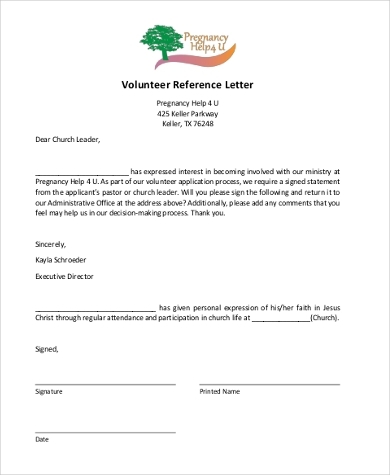 You can now create your own reference letter for someone with a step-by-step guide and other advice on what to include in your letter. 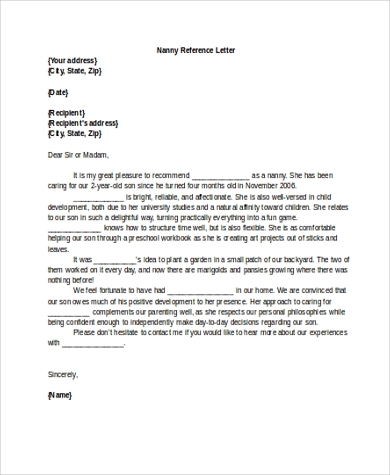 Reference letters are vital for employment, volunteer work, rent, or when looking for a nanny. If you are a manager, writing a reference letter for your former employee should be a credible and authoritative document that will shape a positive impression of the person and his attitudes. 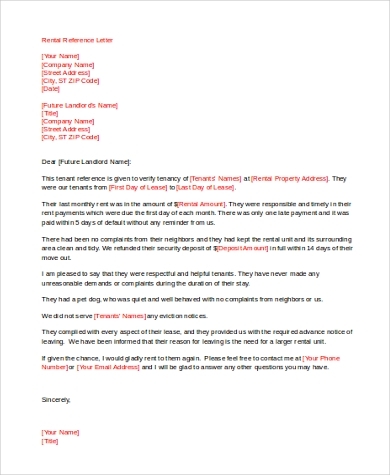 If you are a landlord, your tenant may ask from you a landlord reference letter, which is very important when the tenant is relocating to another apartment as it helps future landlords know that the tenant is responsible. 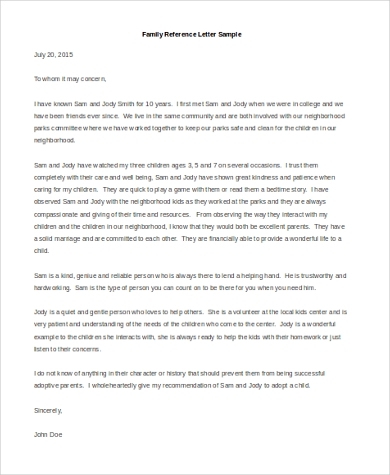 In looking for a nanny, a letter of reference is important to help you make sure you hire someone capable enough to leave your child’s care in. 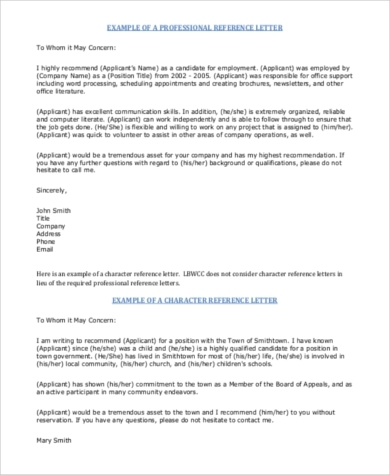 Download these Character Reference Letters to see a couple of samples. The simple tools available here will help you out. They come in MS Doc and PDF formats that are easy to download and can be edited to fit your needs. This collection of templates enables you to write without any complications of technical formats. 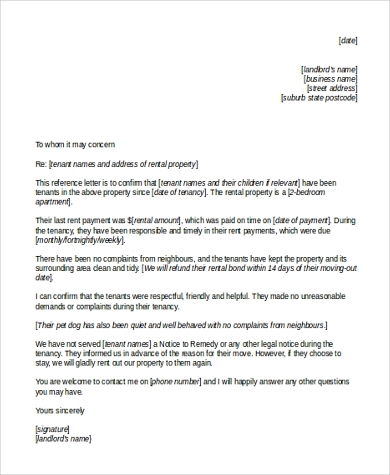 These quality standard templates will give your letter not just a professional tone but will also give you more credibility as the writer. Saving you precious time is what these templates are all about.